Before the lush celebrity gift suites, the sold-out Q&A sessions, and the long lines of frozen but eager cinephiles trying to grab the hottest ticket in Park City, a movie was made — and it was hard work. 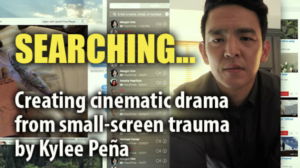 And behind the producers and directors and actors who led the charge, a “below-the-line” crew of anywhere from tens to hundreds of craftspeople worked to bring filmmakers’ visions to life. They’re the post production engineers, the editors, the camera operators, or the composers whose names are in the credits but not the numerous story pitches to Sundance press outlets like the COW. Union or non-union, aspiring or veteran, these individuals spent weeks of their life behind the scenes dedicated to telling a story. And in my 2018 COW Sundance Film Festival coverage, I’m telling their stories. New York based cinematographer Barbie Leung is highly relatable, especially among film nerds in Park City this week: she describes herself as “the high school kid that rented movies from the library when I was 16 when other people were outside.” After her film theory education at University of Rochester, she spent time exploring where to go next. Her first gig in the industry was on a student thesis feature film (where she went in to be a PA and ended up script supervisor) and then hopped from indie to indie, learning all the roles, putting the pieces of how a film production works together, and gaining the confidence she needed to pursue her chosen path. That path ended up being camera operator, where she worked as an assistant camera operator (AC) and enjoyed being “close to the action” before realizing she needed to make a choice about how to proceed. Frustrated by the slow upward movement in the traditional union path, she decided to forego that ladder and pursue being a cinematographer on the vast number of independent films in the city. On the feature film Searching, editors Nick Johnson and Will Merrick were tasked with some hefty new challenges: a film shot almost entirely on GoPro (with a little dash of iPhone and MiniDV) requiring thousands of layers of continuously rasterizing vector files — which takes place entirely on computer screens, in application windows that were meticulously created and animated, rather than screen-capped. And in its original form (and original title Search), cut under crushing deadlines to meet its Sundance Film Festival debut in January 2018. 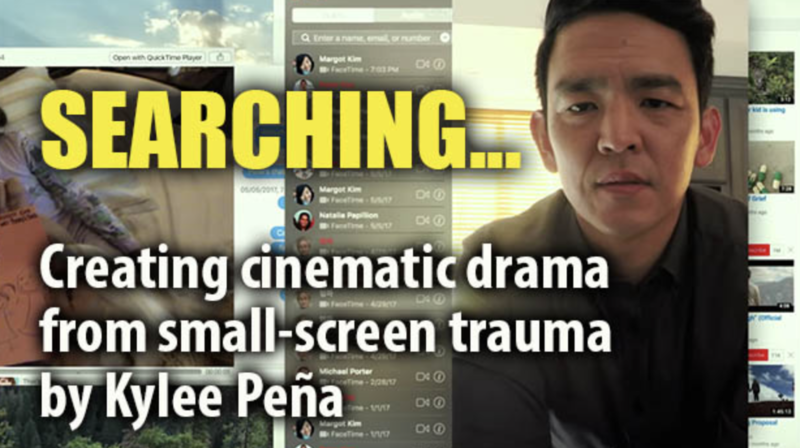 Acquired by Sony Pictures in one of the festival’s biggest deals, Searching opens worldwide this month. A lot of assumptions are made about post production assistants, or “post PAs”: that they simply fetch lunch, sort M&Ms by color, or other “small” tasks dolled out at the whim of a producer. But Briana Kay Stodden’s career so far has been anything but minor. After jumping from rural Illinois to New York City, she has served as post PA on some of the most talked-about shows and movies of 2017 and 2018: Oscar contenderMudbound, Spike Lee’s She’s Gotta Have It, Golden Globe winner The Marvelous Mrs. Maisel — and now making its premiere at the Sundance Film Festival this week, Private Life directed by Tamara Jenkins. Tomorrow morning, I’m jetting off from sunny Burbank to snowy (frigid, icy, frozen) Park City, Utah to cover the 2018 Sundance Film Festival here on the COW. I’ve got furry snow boots, long underwear, and a handful of tickets that cover everything from the fest’s most anticipated to most experimental offerings. And I’ve got my own angle. I’ll be talking to directors and producers and writers of course, and I’ll tell you all about the films I see and the scene that’s set in Park City, but my goal is to bring you insight into the daily lives of the crew — the ones with the 10 or 12 hour days, the ones who worked their way up through unpaid “for exposure” promises, and the ones who unwaveringly service someone else’s story. In our current political climate, in Hollywood and everywhere else, learning more about each other and respecting one another’s work and life has never been more important. The #MeToo movement has opened a dialogue we’ve never been able to have with each other before. Time’s Up, the legal defense fund set up support those who have experienced sexual harassment, assault, or abuse in the workplace, is making the right moves toward keeping that dialogue happening and protecting those who want to have it. But we can’t forget our below-the-line crew in these conversations. For every actress who has been assaulted by a filthy producer, or every director coerced by a power-hungry executive, there are thousands of female crew members in production and post who are caught in a nuanced power struggle every day. Many of them are harassed, assaulted, and abused too. Most of them can’t or won’t ever speak up because they remain in a position where they would lose work, maybe forever. #MeToo is going to shape a lot of Sundance coverage this year because it’s going to change how we view the films in the festival. That will be challenging for some people who have old traumas reawakened, and offensive to others who view equality as a loss of power. But regardless of your opinion or your past experience, something has shifted and its affecting Hollywood — and the best thing we can do is try talk to each other. A lot. In the coming days I’ve got conversations to share with operators, assistants, producers, editors and many more. I’ll be sharing what I see here on this blog, as well as shorter, quicker takes on my Twitter and Instagram feeds. Film and television editor Meaghan Wilbur will also be on the ground in Park City serving as a contributing editor and tweeting some #hottakes from the theaters. Back to packing now — is four scarves enough? I’m bringing four. Sometimes I get to the end of the year and feel I haven’t accomplished enough. When I review my Camera Roll, I realize why I’m so tired. 2017 was an exhausting year for a lot of reasons. But so many good things happened, and I can’t wait to see what comes next.